L’elisir d’amore is beloved and we hope it always will be, but one episode near the beginning tends to be a trial in performances. It’s just after the troops arrive - Sergeant Belcore steps forward, strikes various ridiculous poses, salutes many times to nobody in particular, and shouts at the soprano for a few minutes. After which she ostensibly finds him attractive. It’s true some girls have a thing for a fit guy in uniform, but in my observation that appeal tends to dwindle if the uniform turns out to contain a loud doofus. 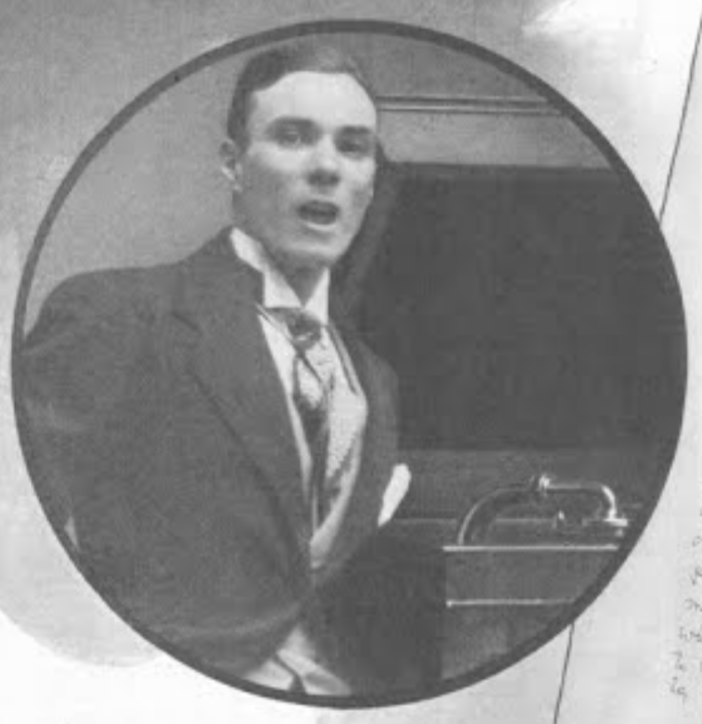 Laurenti was born in 1890, left home to study engineering in Germany, came to America to try for a singing career, and began one by joining the Metropolitan Opera chorus at 24. Two years later he was being tried out in small roles, then in larger ones, and was well-launched at the house when he was struck down by meningitis at just 32. He left 34 quite beautiful Edison records and a young family (his daughter Maria followed him into opera and made some attractive Columbia discs in the late ‘20s). I’ve never heard anyone else approach this aria so sweetly (and never found a dubbing of the Edison from any better copy than the battered one heard here), but there are a few other pre-microphone versions to be heard, and they all have one definite thing in common: absence of caricature. They also show easy, un-pushed, well-centered tone; clear un-doctored vowel sounds; and a comfort level with the language of incidental ornamentation, even though that was already old-fashioned and on its way out. Here’s one, by another un-remembered baritone, Francesco Federici, whose trajectory was almost the opposite of Laurenti’s. Born in Ferrara in 1873; debut at 19 or 20 in a zarzuela; full schedule with at least nine principal roles in 1894-95, and non-stop activity until his sudden passing at 61 during a Dutch tour in which he had sung eight operas.